While writing a confidential memo you need to be careful to include all the details of the company and its operations, its scope in the market, monetary data and projections. All these you need to put into words sounding interesting enough to a prospective while being professional at the same. Drive all the doubts in your mind over the quality of your memo by downloading one of our free confidential memo templates. 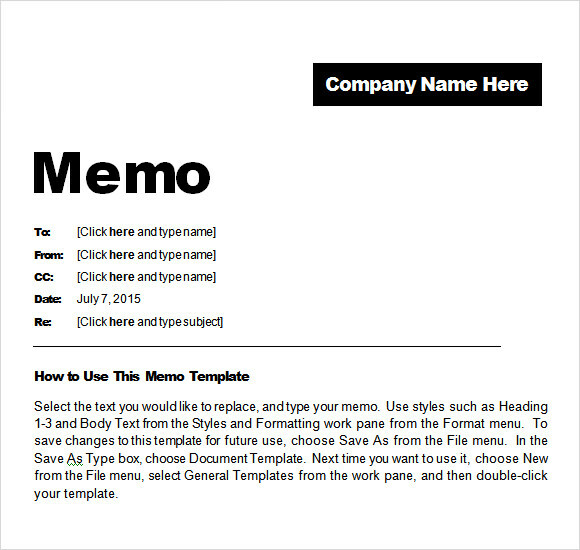 These Company Memo Templates will help you with the format and content of the memo while being easily editable for any changes if need arises. 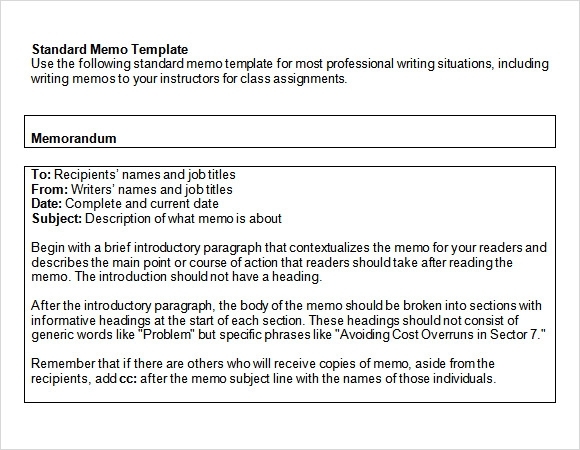 MS Word 2007 and 2010 offer an easy approach to create memos. Multiple memo templates are available that help a user to create new or format an existing memo at Featured Templates for Word. Such a template which has all the details intact will help you drive away all the doubts you have in mind. 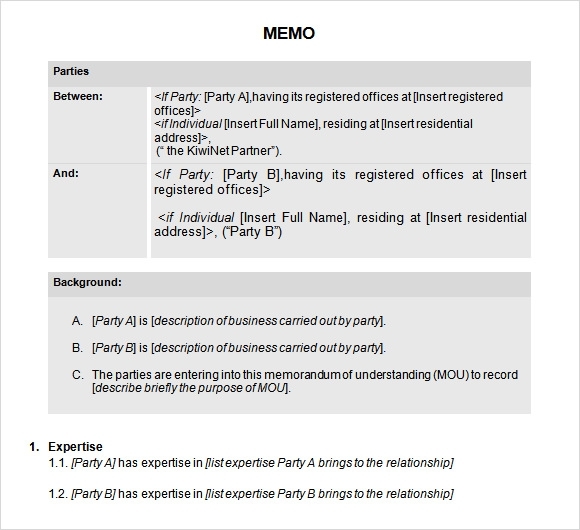 A confidential memorandum is a critical document that describes a company’s value and discusses important facts and figures for the benefit of the buyers. Any information that is highly sensitive, like customer identity, must not be included. It is prepared in order to escalate a company’s value in sale. 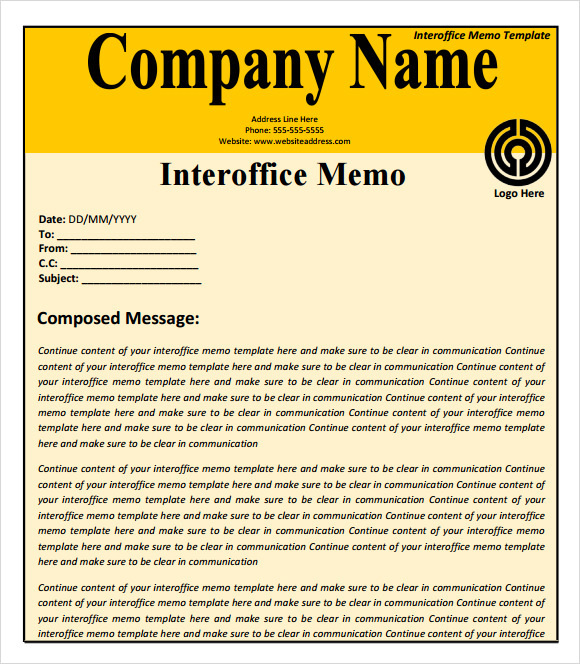 As the name indicates, these templates are designed for a legally privileged communication with a specific person. It contains message that is intended only and specifically for designated recipients. This communication requires Confidential User Box with a registered number and a password. Companies prepare confidential memo to familiarize prospective buyers with their business and operations. It may also include a summary of key income statement accounts of the company for last and the trailing years. This showcases a company’s ability and also showcases its plan to achieve future goals. 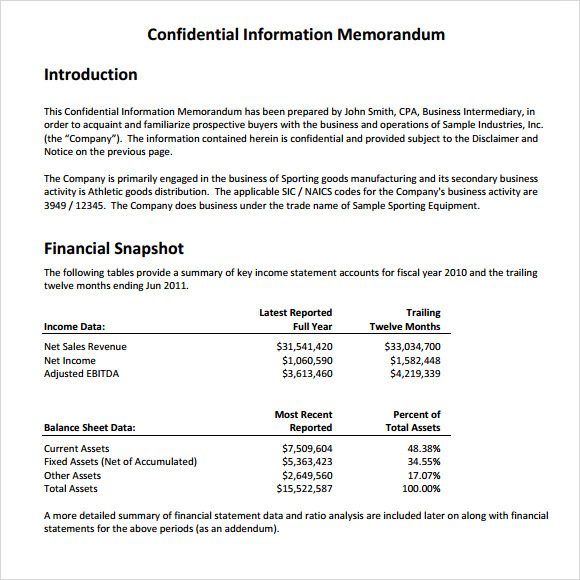 Why Do You Need Sample Confidential Memo Templates to Download? 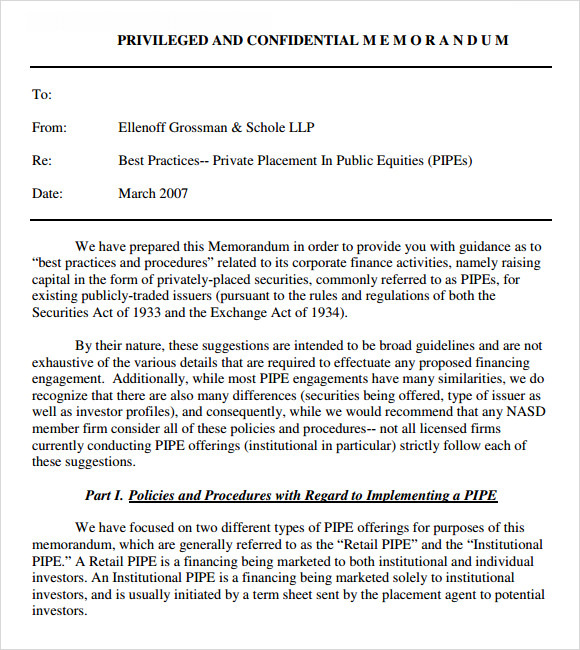 A confidential memo is drafted in order to market a business to prospective buyers. Buyers get interested in a business if a detailed description of the company’s business and operations is made available. It is one the most important documents that is drafted in any sales process as the prospective buyer is able to make an initial offer based on this information. Through this document, the company highlights its attributes in order to fetch a premium value in business. It becomes important that the seller reviews the information thoroughly before distributing it to potential buyers. 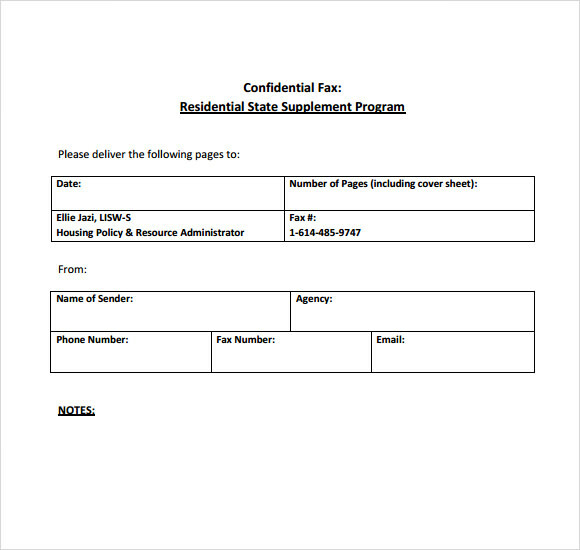 When Do You Need Sample Confidential Memo Templates to Download? 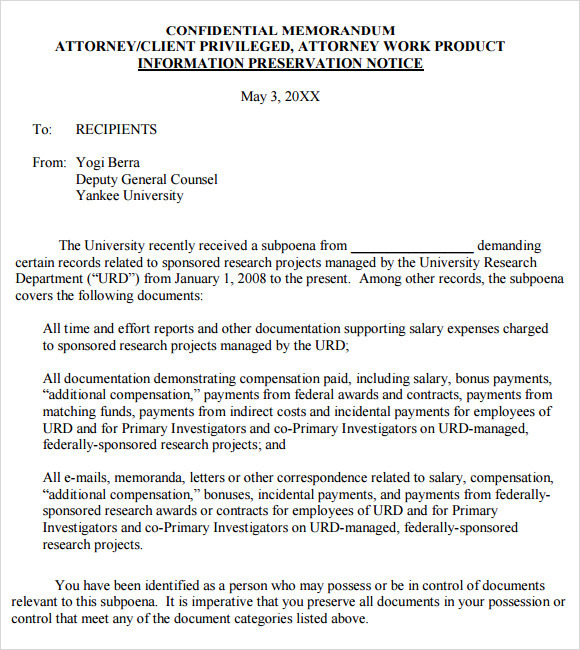 When the goal of a company is to sell and maximize its value in sale, it is then that the company releases a confidential memo. It includes summarizing opportunities within the market and also discussing financial information of the company i.e., previous results or future projections. Buyers are supposed to sign a confidentiality agreement and after passing a screening process, the confidential memo is made available to them. 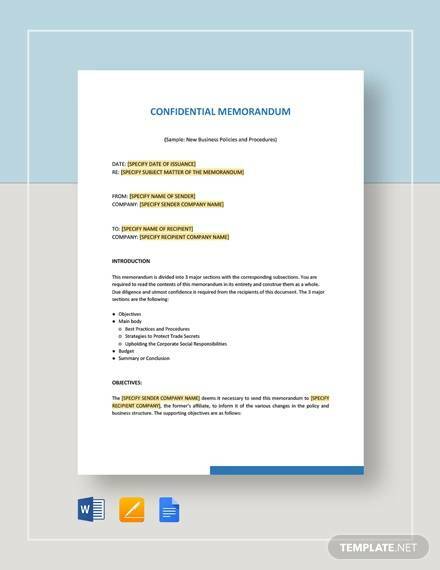 After going through the confidential memo, a buyer has sufficient information to make an initial offer and value the acquisition.You can also see Formal Memo Templates. As this document tells a company’s story in terms of value, facts and figures; it helps the buyers to make a decision whether to go for the deal or not. A company drafting the memo is able to set expectations for the buyers or create interest in them for the company. It also helps the company to save time as the answers to key questions are covered in the memo shared with the prospective buyers. The prospective buyer who signs the confidentiality agreement gets to know about company’s ability and plans to achieve future goals. This leads to more growth opportunities. For a company to excel, it must aim to engage with strategic buyers. Through their confidential memo, they can discuss all valuable attributes of the business to gather their interest and get the highest possible price.You can also see Office Memo Templates.